As you sit quietly at the party, you remember when you used to be the person everyone gathered around. Those days aren’t too far in the past, but the difference now is stark. You always looked forward to gatherings as a chance to catch up with old friends and meet new people, but now you just hope that no one will notice your missing teeth. Sometimes you’d rather just stay home. 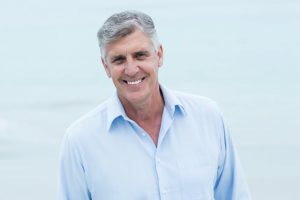 You can now get your confidence back with dental implants in Temple with Dr. Brook Elmore. Dental implants are one of the most reliable ways to restore your teeth. This is because it is the only procedure that can restore the entire structure of your tooth: the root and the crown. Most procedures only serve to repair the crown, but dental implants can help rebuild a tooth from scratch. The new root is made from a titanium post that is placed into your jaw. Not only does it serve as the base of a new tooth, but it also helps stimulate blood flow to the area, ensuring long term health. This is because titanium is bio-compatible, meaning that the organic structures in your body attach to it very easily. Dental implants are usually topped by a porcelain crown that restores the tooth above the gum line. The ceramic material assures that it is aesthetically beautiful and functionally strong. These two elements are then held together using a metal connector called an abutment. Dental implants have a 98% success rate and can be used to replace a single tooth, support a bridge, or anchor a set of dentures. Dr. Elmore with place the titanium root in your jawbone. You will be given 3-6 months to heal, as well as allow the root to bond with your jaw. The final visit is when your new crown will be placed. The first portion of the procedure involves minor surgery, but can often be completed painlessly with local anesthesia. Most of the time set aside for you to heal is not for the surgery, but rather to allow your new root to securely bond with your jaw. The amount of time is entirely dependent on your condition coming into the procedure. Once the crown has been placed, you can use and rely on the implant just like you would a normal tooth. If you would like to know more about dental implants, please give your dentist in Temple a call today. We’ll be more than happy to answer your questions and let you know why dental implants are the ideal solution for you missing teeth.